This presentation was given by Dr. Alexander Goldin, CEO of Alango Technologies, at MWC 2018 ("Tech in Society" Conference, "Introducing the Augmented Human” session) on Feb.28, 2018. 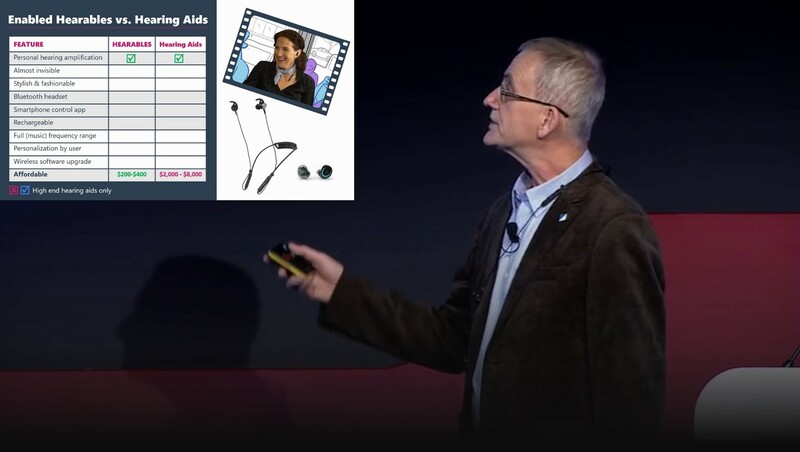 The video centers on hearables (wearables for the ear) that include hearing enhancement functionality. These devices, also known as assistive hearing products, represent an emerging alternative to hearing aids. They solve the problems of cost, social stigma and limited functionality associated with traditional hearing aids. As a result, they can address the needs of more than 1 billion hearing impaired people worldwide.